A basic women’s sized hat – 19 – 20 inches. This hat is a basic stockinette stitch with the option of knit in hemmed rib. 1 Ball worsted weight yarn, 192 m / 210 yards each. 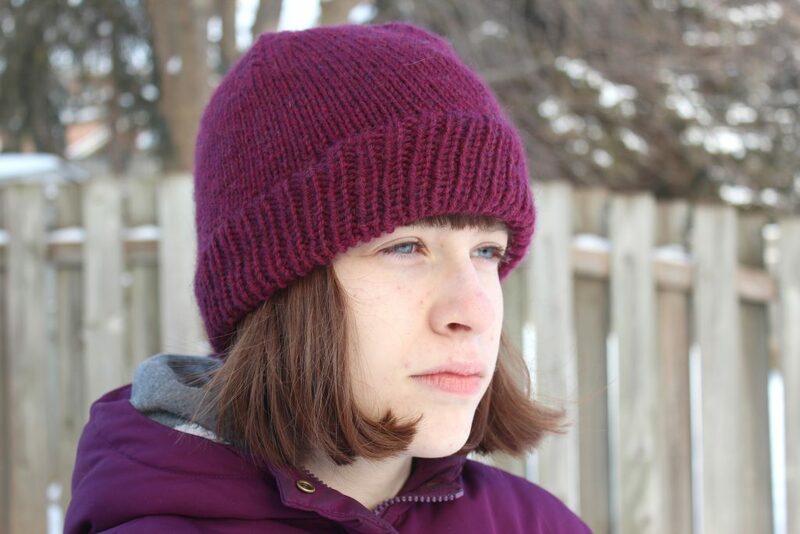 Yarn used Patons Classic Wool in Plum Heather. 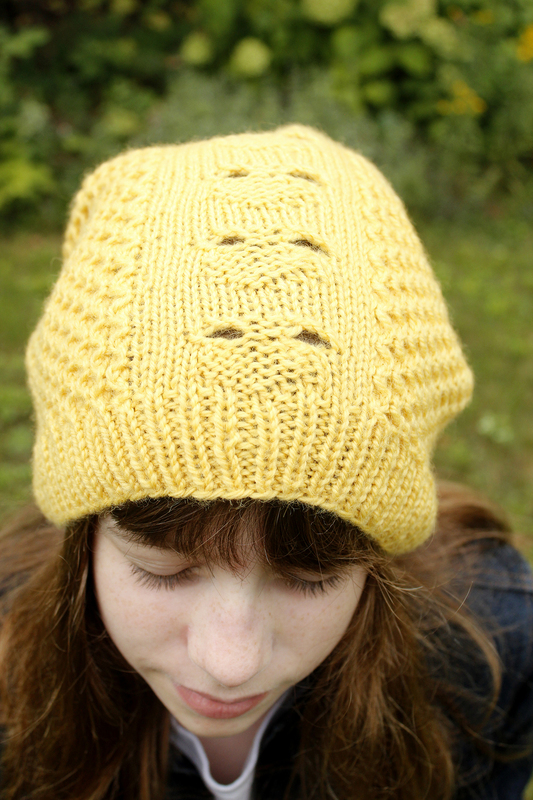 this bee and honeycomb motif slouchy hat. 2 Balls worsted weight yarn, 192 m / 210 yards each. Yarn used Patons Classic Wool in Sunset Gold. Plenty of yarn will be leftover. Never mix up your beer at parties again. 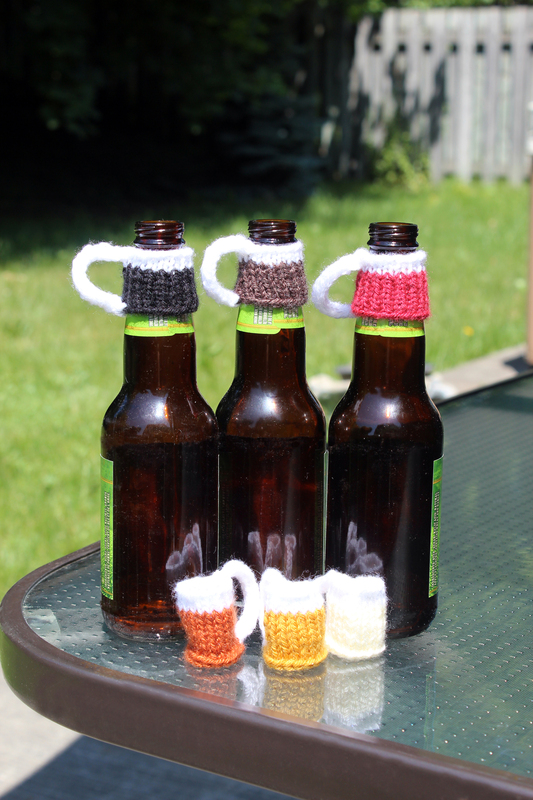 Knit up these cute pint style beer charms in the various colours of beer. Or pick your own variety of colours. Worsted weight acrylic yarn in 6 shades of beer and white.